AAA DoorTeks provides garage door repair services to home owners in Geneva, Batavia and St. Charles and beyond. 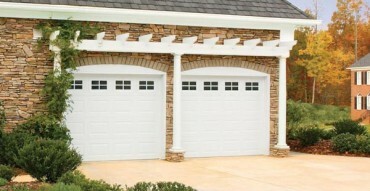 Our technicians can install, sell and repair garage doors throughout the Fox Valley and Western Suburbs. AAA DoorTeks repairs broken springs in Kane County, DuPage County, Will County and parts of Cook County. In addition to garage doors for residential and commercial clients, AAA DoorTeks sells and installs new garage door openers. 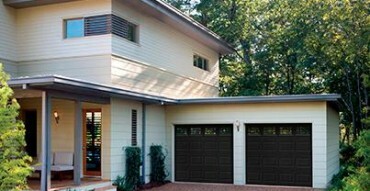 Our technicians repair garage door openers also. AAA DoorTeks works on all brands of garage door openers such as Liftmaster, Chambelain, Genie, Craftsman and Sears. If you need help, AAA DoorTeks can replace or repair your garage door opener. Business owners throughout the Fox Valley and Western Suburbs call AAA DoorTeks for a wide variety of services. AAA DoorTeks repairs overhead doors and dock levelers too. AAA DoorTeks also sells many different commercial overhead door products, like sectional doors, rolling steel doors, rolling sheet doors from DBCI, thermal doors from R-Plus, high speed thermal barriers from Nergeco, wash bay curtains, curtain walls from Goff and a variety of other solutions for retail units, storage facilities, warehouse, distribution centers, food processing plants and auto body shops. We also have a Google+ Page & a YouTube channel, make sure to follow us for DIY garage door tips. 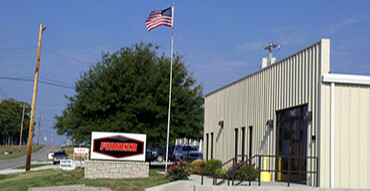 If you’re looking for industrial solutions, please visit see our Commercial Section, where you will find the many commercial overhead door products provided by AAA DoorTeks, such as, overhead dock doors, dock levelers, reefer doors by R-Plus, a wide variety of wash bay curtains, food grade curtains, auto body curtains and even air craft partitions! We also provide, install and repair air-curtains by TMI, Albany high performance doors from Assa Abloy.